When you visit a web site (e.g., www.google.com) your web browser retrieves the HTML web page and renders it. The HTML page is actually stored on the computer that is hosting the web site and the page is sent to your browser. 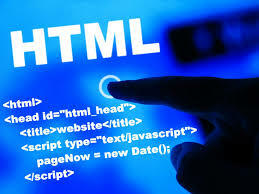 HTML is a format that tells a computer how to display a web page. The documents themselves are plain text files with special "tags" or codes that a web browser uses to interpret and display information on your computer screen.An HTML file must have an htm or html file extension. What you just made is a skeleton html document.This is the minimum required information for a web document and all web documents should contain these basic components. The first tag in your html document is .This tag tells your browser that this is the start of an html document. The last tag in your document is .This tag tells your browser that this is the end of the html document.